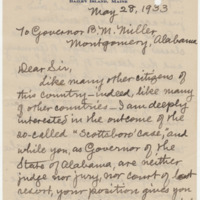 Letter from H. M. Darling in New York, to Governor B. M. Miller in Montgomery, Alabama. 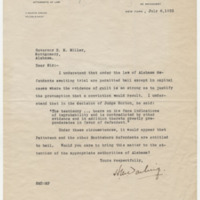 H. M. Darling, an attorney, writes that because under Alabama law bail is allowed to prisoners unless the evidence is strong enough to assuredly convict them, and because Judge Horton doubts the evidence, the Scottsboro Boys are entitled to bail. 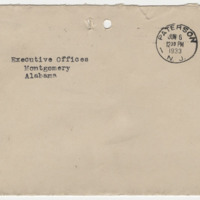 Letter from Warren P. Norton in Meadville, Pennsylvania, to Hon. 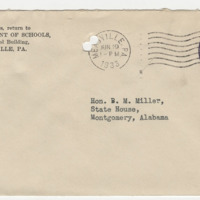 B. M. Miller in Montgomery, Alabama. Letter from Chas. E. Lotreck in Northampton, Massachusetts, to His Excellency the Governor in Montgomery, Alabama. Chas. 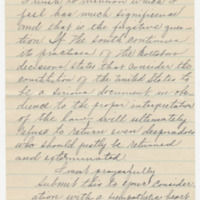 E. Lotreck writes that he had a trip planned to visit his friends in Montgomery, but will be cancelling it since he has learned that the roads were built by chain gangs. He continues that he will not give any money to a state so barbarous. 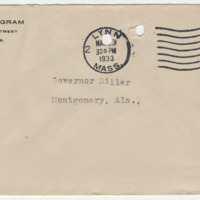 Letter from Charles Ingram in Lynn, Massachusetts, to Governor Miller in Montgomery, Alabama. 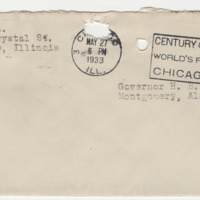 Letter from L. H. Goodshaw in Harvey, Illinois, to Gov. B. M. Miller in Montgomery, Alabama. 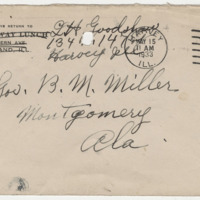 Letter from Rose Garland Rivers in Northampton, Massachusetts, to Mr. Miller. 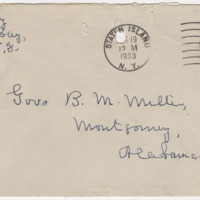 Letter from S. O. Rusby in Staten Island, New York, to Gov. 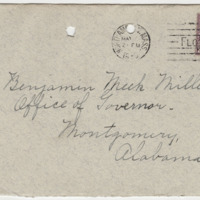 B. M. Miller in Montgomery, Alabama.